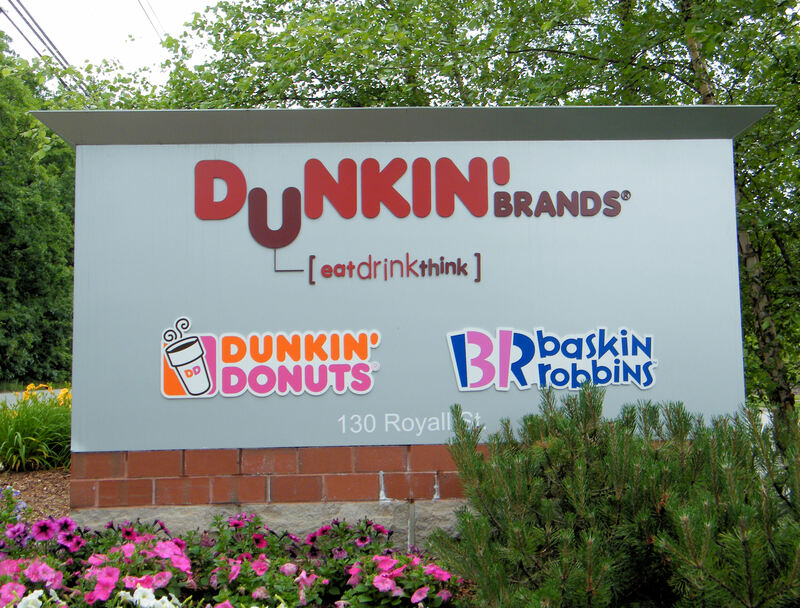 Dunkin’ Brands Group Inc. (NASDAQ:DNKN) reported increases in both income and revenue for the second quarter of its fiscal year. The company reported that net income was up 17.2 percent, rising to $49.6 million, or 57 cents per share, compared to $42.3 million or 44 cents per share in the second quarter of 2015. The company also reported that revenue was up 2.3 percent over the same quarter a year ago. For the second quarter of 2016, domestic Dunkin’ Donuts locations saw a 0.5 percent increase in same-store sales and Baskin-Robbins locations saw same-store sales grow by 0.6 percent. The modest increases were driven by price increases. The company reported a 2.9 percent increase in average checks, while traffic slowed 1.4 percent. Prices were up by 380 basis points in the first two quarters. Some franchisees appeared to have raised prices too aggressively in response to rising labor costs. Chief financial officer Paul Carbone said he hoped price increases would stabilize to 300 basis points for the whole year. 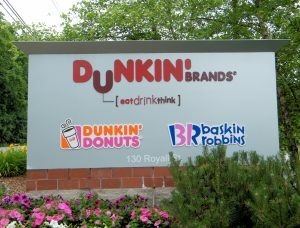 In the second quarter, Dunkin’ Donut franchisees opened a net 82 units and Baskin-Robbins opened a net 12 locations in the United States. Chairman and CEO Nigel Travis said, “While we are disappointed with our topline revenue growth in the second quarter, we are pleased that we were able to grow both operating income and earnings per share at a significantly faster pace than revenue in the second quarter.” The company’s K-cup sales were up by 3.9 percent. Espresso-based beverage sales enjoyed double-digit growth year-over-year. Online cake orders for Baskin-Robbins were up with “mid-single digit growth” for the quarter. The company says that it is making significant progress with its initiatives, including faster-to-market food innovation, expanding use of digital technology like On-The-Go mobile ordering, and improving the experiences of its guests. DD Perks members can use mobile ordering to order in advance and skip to the front of the line. Dunkin’ Donuts relaunched its ordering app in early June. Dunkin’ Donuts introduced the Grande Burrito and the Bacon Supreme Omelet successfully in the first quarter. Baskin-Robbins introduced warm cookie ice cream sandwiches March 1. In the upcoming quarter, the chain would be rolling out better tasting eggs and reformulating its bagels. It is also planning to revamp its bacon to be “better tasting” and “more robust,” according to Travis. In June, the company launched its Cold Brew coffee in New York and Los Angeles, with the product expanding nationwide by the end of the summer. Cold brew coffee seems to appeal to Millennials in particular, a coveted demographic group for many retailers. Early results suggest that sales of cold brew coffee will be incremental to sales of its regular iced coffee and will enjoy a solid repurchase rate.